Our label manufacturing operation has been growing dramatically over the past few years. We are very thankful that our customers are part of this marvelous journey! As we have grown, it’s clear that we cannot keep doing business the same old way in today’s competitive business environment. To keep up with these demands, and to better serve you and our other customers, we have invested in a new ERP/manufacturing system. 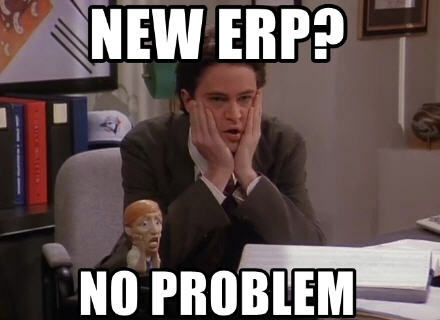 As you probably know, ERPs are complex technologies designed to make our work lives easier and more productive. This investment provides a foundation so we can offer greater benefits and increased service levels. Stay tuned for more details and announcements on what that means in the future. We recently “flipped the switch” to go live on the system. You shouldn’t see anything different immediately – other than a new look for our quotes, order confirmations, etc. In the meantime, a company-wide move like this can cause some hiccups as all the wrinkles are ironed out. If you experienced any difficulties resulting from our system change, please let us know right away. We appreciate your patience and your business as we approach our 25th anniversary next month. Thank you for helping us reach this milestone!